Taimur's Day Out In A Kurta-Pyjama Is The Highlight Of Our Week... Can You Blame Us? It's common knowledge that Bollywood is going all out and decking up for Ganesh Chaturthi festivities this week. 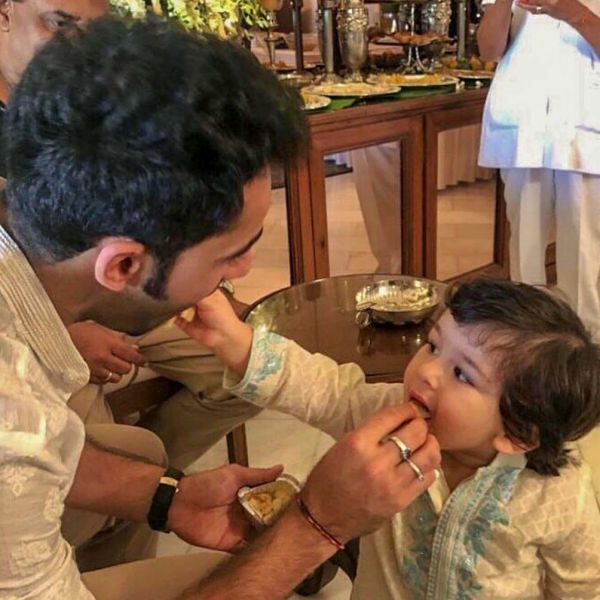 It's a happy time for families all across India - this includes the Kapoor-Khans and our favourite member of the star family... Taimur Ali Khan. He has been known to brighten up the day with just a smile and his outfit for the family puja is proof enough. 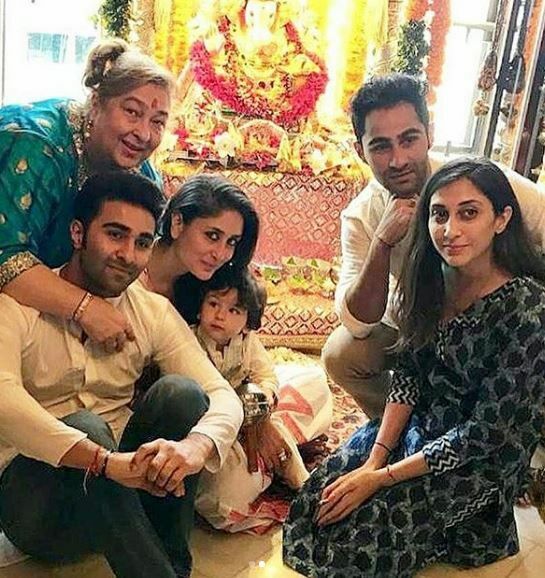 The littlest Nawab of the Kapoor-Khan clan spent some quality time with mum Kareena, grandmom, Babita Kapoor and his mamu, Aadar Jain. As always, Taimur was dressed for the occasion in the cutest Indian attire. Tread lightly, 'cause your ovaries might just explode. 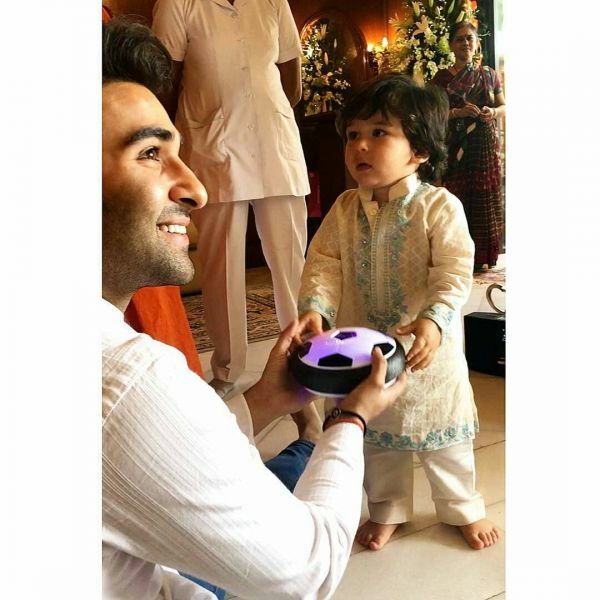 Seen here playing around with his mamu, Taimur looks incredibly adorable yet stylish in an ivory traditional knee-length kurta with a buttoned collar, which was embroidered with turquoise blue flowers. The intricate floral embroidery was present around the cuffs and hemline, as well. Taimur's matching pyjamas (I didn't realise how cute these words sound in the same sentence) were simple, resting loosely around his annoyingly cute and chubby feet. 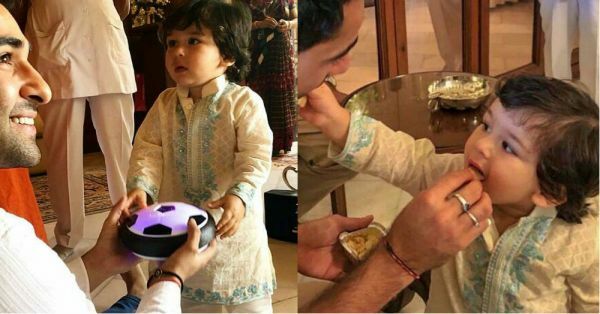 Evidently, Taimur kept his Indian traditional look on-point on his day out with the fam and evidently, it's been the highlight of our week... even though, we're yet to get to the end of it! We reckon Taimur Ali Khan is as stylish as his Bollywood parents, what do you say?